AFC - 04/19/10 "Be Above Cruelty" as Film! 04/19/10 "Be Above Cruelty" Now also as Film! - Bojan Jambrosic is the first Croatian celebrity to make a film on animal rights! Animal Friends and Bojan Jambrosic invite the media and public to the official promotion of the campaign "Be Above Cruelty" and the special reception for journalists. 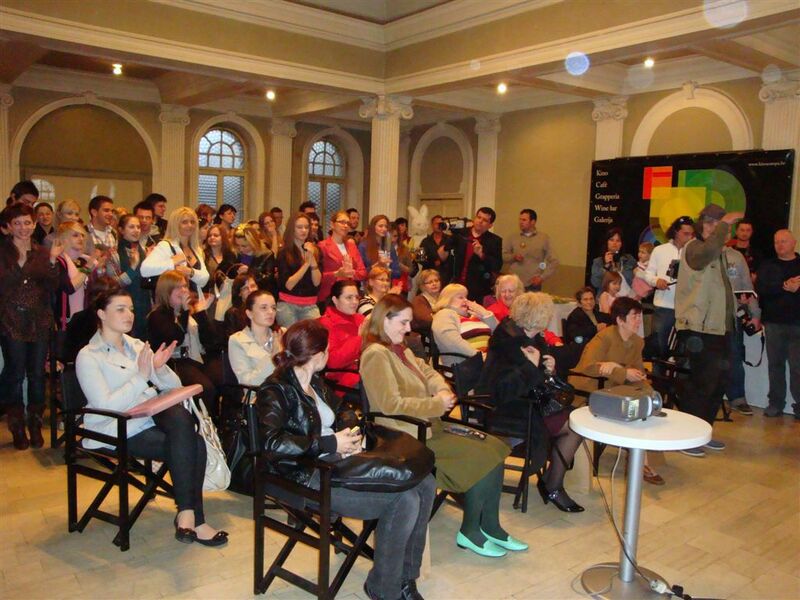 The promotion will take place on Monday, April 19, at 7 P.M. in Europa theater, Varsavska 3, Zagreb. Besides a billboard and promotional flyer with the white list, the film "Be Above Cruelty" made by Animal Friends in collaboration with Bojan Jambrosic, the narrator of the film, will be promoted. 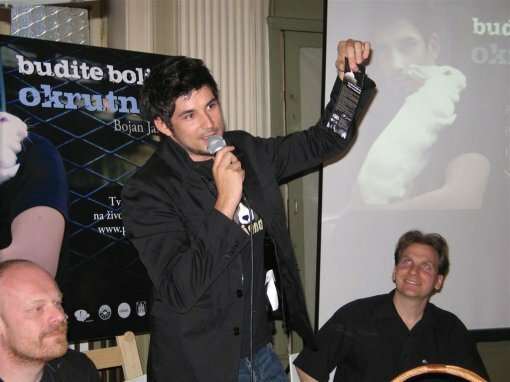 In the film Bojan speaks to the public by explaining what is happening to animals exploited for experiments, showing photos and videos of animals tortured and killed in laboratories. He ends his message with an invitation to purchase products exclusively from the white list of companies which do no test their products and ingredients on animals. The white list can be found at www.animal-friends-croatia.org and on the flyer with Bojan, especially printed for this campaign. All visitors of the press conference and this event in Europa theater will get the movie on DVD and the flyer from Bojan, while he during the presentation of this campaign will have support of other celebrities as well as the rabbits Dragic and Maza. Scented surprises and vegan refreshments will be prepared on the promotion as well. The international organizations PETA (People for the Ethical Treatment of Animals) and BUAV (the British Union for the Abolition of Vivisection), who for this movie provided their undercover photographs and video footage, also joined this project. Tomislav Povic filmed "Be Above Cruelty," while Drazen Jeren is photo assistant. Campaign photographer is Marina Filipovic Marinshe and Maja Zaklan designed the whole campaign. Bojan's stylist is Ivan Friscic, and Zvonimir Franic and Lisa Jericevich took care of Bojan's hair and make-up. 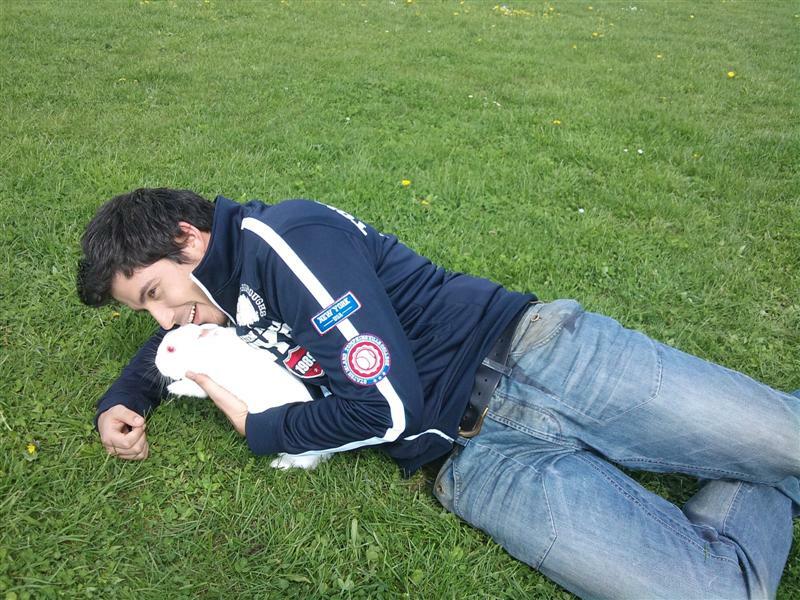 The rabbits Dragic and Maza gave a special charm to this project with whom Bojan patiently participated in the shooting, sending out a message for homing instead of buying rabbits from the TarraLand shelter for rabbits and wild rabbits. 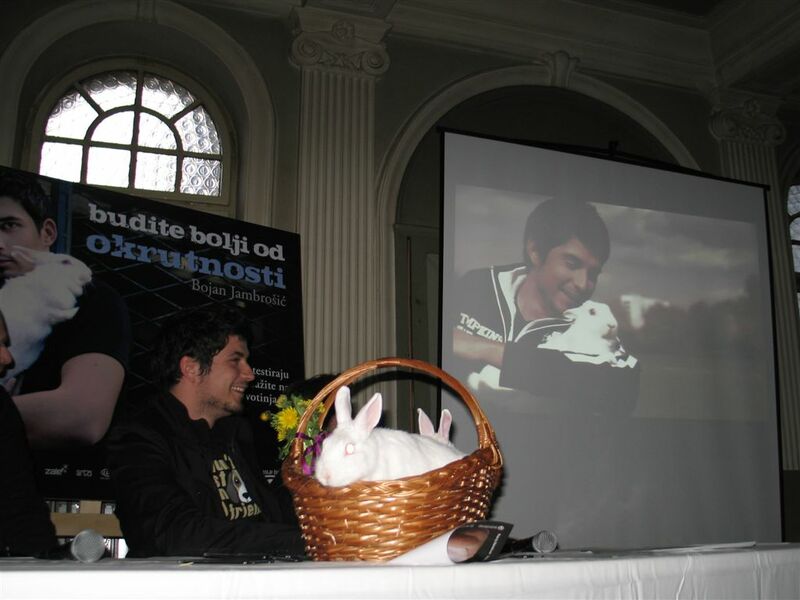 The campaign "Be Above Cruelty" is recognized and supported by Arto, Dallas Records, Europlakat, City Office for Agriculture and Forestry of the City of Zagreb, Iskon, Europa theater, Lotusgraf, Lush, Melvita, National Foundation for Civil Society Development, P.I.O., Paul Mitchell, TarraLand shelter for rabbits and wild rabbits, Vectordesign, and Zale. The film "Be Above Cruelty" will be immediately upon its promotion available in high resolution at www.animal-friends-croatia.org and our youtube channel www.youtube.com/afcroatia. Photo gallery from the press conference you can see here.